PARIS RETAIL WEEK: the European Global Event for Retail Professionals! The 4th edition of Paris Retail Week will take place from Monday 10 to Wednesday 12 September 2018 in Pavilion 1 at Paris expo Porte de Versailles. The success of the 3rd edition of Paris Retail Week confirmed the need for the professionals of the off- and on-line retail sector to meet at a common event. We look forward to seeing you in September at Porte de Versailles to experience together three intense days of business and networking and to discuss the e-commerce sector, dedicated to solutions for e-retailers, ranging from digital marketing to logistics, and the Store / Equipmag sector, dedicated to physical commerce and distribution. Join us at Europe’s largest retail and e-retail event! During 3 days, Paris will be the capital of experiential and connected commerce, bringing together 800 participating companies and 40,000 professionals of the retail sector. 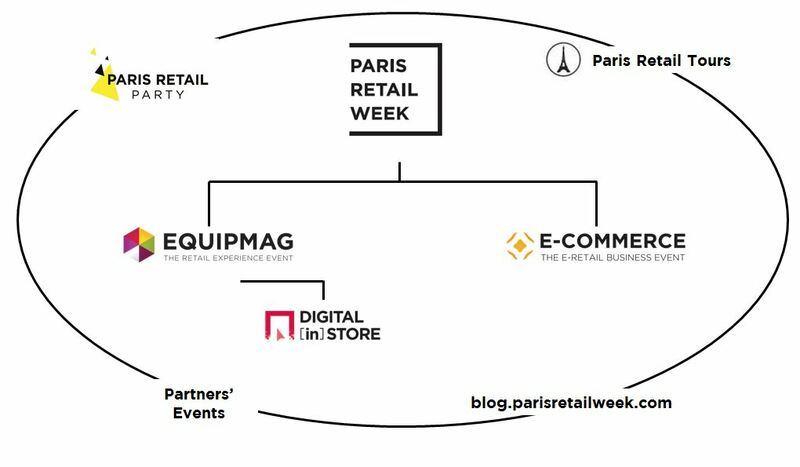 Paris Retail Week will also host a Start-Up area and the Club Enseigne & Innovation's Village. Exhibitors and visitors will have the opportunity to hold individual Business Meetings. Paris Retail Week: much more than a trade show! A unique opportunity to attend a range of free high-level conferences: Solutions Workshops organised by exhibitors, such as Plenary Conferences and Keynotes, featuring renowned French and international experts.